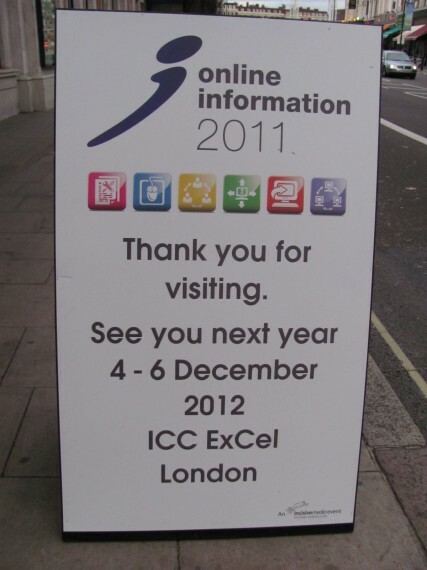 So, the 2011 International Online Information Meeting will be the last to be held in the Kensington area of London. Next December, the show moves east to the ExCel conference centre in Docklands. I have to say I feel rather melancholic at the news. 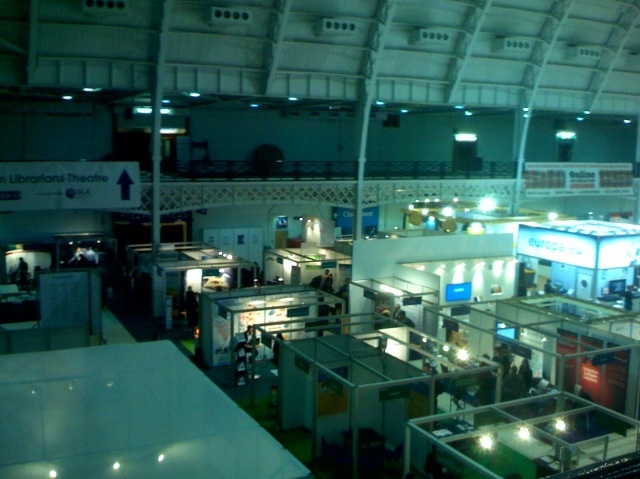 True, the exhibition had looked a bit lost for the past few years, with too few stands to fill the cavernous halls of Olympia. But those of us who were at the first Online Meeting in 1977 (yes, reader, I was indeed very, very young) will find it difficult not to equate early December/Online Information/West London. As the meeting moved up and down the road, from the Kensington Tara Hotel, to the old Town Hall, to the Novotel, and then to Olympia, it was a fixed point in the information year. Those of us who have gone on and off over the years (I wonder if anyone has actually attended all 34) have been fond of ruminating on how the show has changed. And indeed it is actually quite difficult to think back to a world that was not just pre-web, but pre-a-lot-of-things-that-have-come-and-gone; CD-ROM databases, to name but one, were the latest thing for quite a few years. But certainly what was once a very focused event for a small community of providers and users of a certain format of information has become very much more diffuse and all-encompassing; much like the information world as a whole, I suppose. The survival of IOLIM (as I still think of it) is therefore interesting. When it began, it was essential for everyone who was a serious user of computerised information to be there; that was where new products were launched and demonstrated, and you had to be there, to see things and to pick up the new shiny brochures. The web and social media changed all that; but there still seems to be the attraction of going along to meet people, as I discovered when it took me 30 minutes to leave the show this time, due to bumping into – literally – several people who I had not imagined would be there. So, I imagine I’ll go to ExCel next year. I just wonder if early December/online information/East London is really going to work. And there is a ‘new concept’; and ‘international convention for the information community’. It sounds like something I will dislike, but one should not be cynical; I’m sure I can still bump into people.